Judi is a quilt maker, designer and teacher, inspired by antique quilts and with a lovely eye for color. Judi tells us that she began patchwork and quilting in 1991 to make a memorable 50th birthday gift for a dear friend. Although she was familiar with sewing from an early age, she attended a quilt making class with Judy Hooworth . - a simple nine patch set on point. She very soon caught the bug for quilt making and really began to enjoy sewing for the first time. Judy says that quilt making, with the use of wonderful colors and design possibilities was a great help during her early bouts of severe depression. She could focus her limited energy on the designs and colors of antique quilts and quilt makers, inspiring her to recreate the designs. 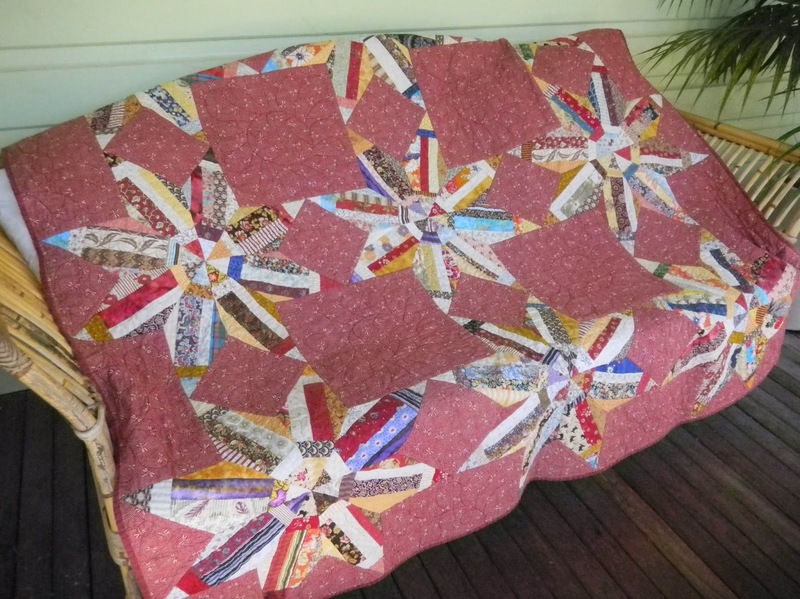 While Judi has designed and made many quilts, many given as special gifts for milestone birthdays and weddings she has a lovely selection to share with us. Hope you can join us ….